BREAKING: Trump appoints Pro-Blockchain + Crypto advocate for Budget Chief who also despises the Federal Reserve!steemCreated with Sketch. "Bitcoin Caucus" co-founder Mick Mulvaney is the United States next Director of Office of Management and Budget. President-elect Trump made a rather surprising choice when appointing Mulvaney. Until that moment, not many considered Mick Mulvaney an option. But Trump feels that Mulvaney is the right choice. Of note: Mulvaney is not a big fan of the Federal Reserve, and is Very Pro-Bitcoin. This will echo in a large way with the Crypto / Bitcoin and Blockchain community! Late yesterday, (Dec. 19th, 2016) - Trump tapped Congressman Mick Mulvaney, Tea Party Republican, as his administration’s Director of Office of Management and Budget. He's a hardline fiscal conservative wanting to drastically cut federal spending on social programs. This past September he was a founding member of the bipartisan Blockchain Caucus, aka the "Bitcoin Caucus" : Meant to help congress remain current on crypto / blockchain technologies / currency, & develop policies to advance them. Mulvaney also supports Coin Center, a non-profit research / advocacy center focused on public policy issues in the crypto space. It raised over $1 M this year. In fact, it was recently stated that the Federal Reserve has “effectively devalued the US Dollar”. To put this in perspective, the US Dollar, and Euro have almost reached parity - a big decline for the $ USD , despite its overall positive trending through 2016. If both currencies reach parity, things could get out of hand across the financial markets rather quickly. Mulvaney went on by stating how the Fed has “choked off economic growth”. If you see how interest rates were upped twice in a year, that's a rather unusual statement. Then again, the financial system is filled with manipulation, and growth or decline is only a matter of political agendas in general. Insert comment here about the Federal Reserve and the Globalists connected to it once again. Canada has similar issues and there is a group of Canadians suing their Federal Government to wrestle BACK control of the country's money supply from private banking interests like the US has - and restore it to the hands of the people. I am one of the dues paying members of that group actually. Visit www.COMER.org for more info. It is similar to "End The Fed' in the USA. If you type in something like Barry Dutton COMER you will find some of my updates. But wait! There's more.... During Mulvaney’s speech to the John Birch Society chapter, he also praised Bitcoin for its “immutability”. He went on to explain how Bitcoin etc. cannot be manipulated by government. That's strong wording that we would not really expect from the next US President’s budget chief. It's clear for anyone connected at all to Crypto / Blockchain / Bitcoin related tech to see Mick Mulvaney may be the most interesting addition to Team Trump’s staff so far. Having a pro-Bitcoin personality close to the POTUS paints an exciting future. It's hard to say what this will do for the status of the cryptocurrency / blockchain space.... but no matter what- 2017 is shaping up to be a big big year for the Bitcoin and blockchain / crypto space! Thanks for reading. A regular guy in pursuit of true Liberty like many of you. 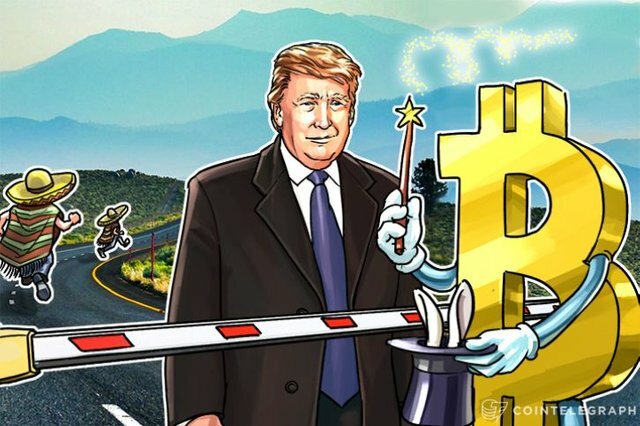 Main image via CoinTelegraph.com - image address would not paste directly into article. Your post has been chosen by the communities of SteemTrail as one of our top picks today. What do you love to write about? 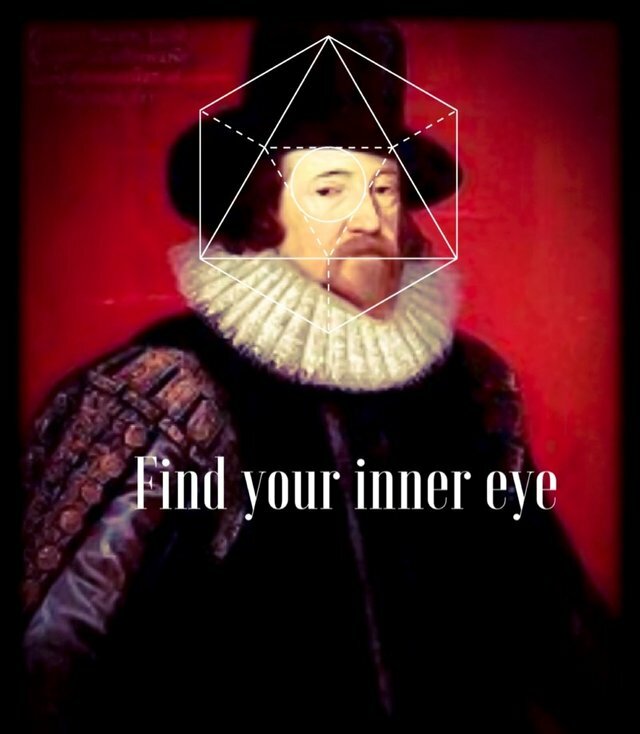 Join us on SteemTrail today and find others who share your interest! The SteemTrail Community looks forward to more great stuff from you. So, please keep up the great work! Awesome, thanks!!! This is big news for everyone! As a new person to Steemit and Bitcoin I don't fully get all you say but I am learning and it sounds positive. Steem On! We are all learning together! TY for commenting, if you like this -- just Resteem it and share it. It all spreads the word. I think this is great news for the community. I know a lot of people are a little nervous about the future of cryptocurrency under the Trump Administration. It's nice to see some pro cryptocurrency people around him. This is amazing news Barry! Thank you for the update. Wonderful news! I'm not sure what the cartoon is saying though. The two mexicans are running for the hills but which hills? They are on the same side of the border as Trump apparently. Also note that the mexicans have much to gain here as well. Trump may find it hard to tax those remittances. I noticed and wondered similarly. BREAKING: Trump appoints Pro-Blockchain + Crypto advocate for Budget Chief who also despises the Federal Reserve! It got out on twitter earlier too, @ned the founder RT it when I sent this to him. This is pretty neat! I think it's important to keep in mind that we are seeing a rise in bitcoin but not to forget that you pretty much have to buy bitcoin in order to buy other cryptocurrencies like Steemit. Hopefully we will see huge volume movement in Bitcoin as people try to protect their stores of wealth inside cryptocurrencies. I think it bodes very well...even though it might be largely speculative. Just look at bitcoin's value in India...higher % than Canada because people are using it to protect their wealth already. It's strange what happened today with bitcoin breaking the $800 US per unit price point, yet no change to the buying volume....I have no answers for this. Overall, I have been impressed with Trump's Cabinet selections. This is another solid choice. TY for the Resteem, I worked hard on this one and there is not a lot of coverage of this at all, TBH. Big news. I know, when I was researching this today, I could not believe both were happening, honestly. big news. This is definitely worth keeping an eye on! Thank you for posting and sharing. Sorry missed this earlier. This is great news. I've RS and also tweeted it. Great post, didn't know any of this happening. I guess there are some positives to trump after all. Remain even keel with it all.......... but this is YUGE news for a lot of reasons eh? @dan and @ned both supported this post I see and Ned RT this when I sent it to him -- I could not believe nobody was writing about this news anywhere at all today online! I edited my comment awhile ago -- even keel. I hope this article and news helps a zillion people, that's why I wrote this and if I was in a better position re the car running me over --- I would be able to act myself on this and position myself better. So I hope it helps a ton of people and gets the word out. It's hard to let go of something when every area of my life is being affected and all of the publicly paid agencies are burying my file. I only recently started talking about it here. I did not feel comfortable about it and only do it in a handful of places I feel comfortable. I will not be writing about it really, I speak in general terms if it comes up or I can relate in someone's post on something. It is hard when the agencies are by their nonfeasance and or malfeasance -- are causing me to to be drained physically, financially, spiritually and emotionally. There is nothing left for me to invest, I cannot pay bills or hardly find food money. After years of supporting and helping others. I have realized I have little to no support, really nobody cares, and I am being marginalized by the system I paid into for years and one I have questioned since I woke up and done so publicly. Discussing it a bit quietly here and there IS how I am trying to let go and deal. Most people cannot relate and I pray nothing similar happens to you -- or them. Ever. There's are possibilities that bitcoin price will increase and reach a $1000 or more when the new director of budget will take his seat. One person here stated there was a BTC spike today. Comments above. Likely related I said. "A regular guy in pursuit of true Liberty like many of you." I understand that but we are also living with policy decisions and or other things daily we may all agree or disagree with - and this WILL impact the blockchain community as such, that is the point of this article. 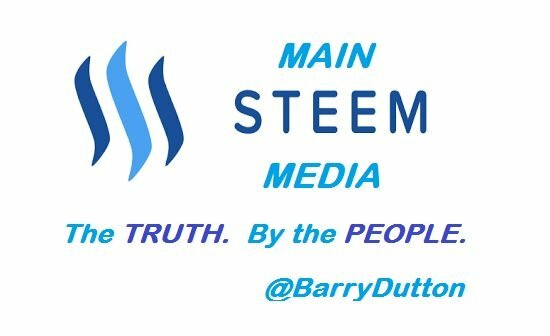 Thank You, Barry, sincerely, for your service to the Steemit community! I have been leaned on heavily as a truth speaking activist for nearly 7 years now, I am aware of what you speak LOL. Regardless of how people feel about Mr. Trump, this is going to make for an interesting administration. Thank you for sharing. Upvoted and resteemed. Great feedback and TY very much for that! This is pretty incredible!! Thanks for sharing, Barry! This is very interesting news @barrydutton - quite exciting actually! I'm very glad to be part of Steemit in these interesting times. Perhaps this is a sign for positive things to come! A likely factor if not just a big co-factor, good for posting that info -- Thanks!